We’re proactive partners with leading enterprise software, consumer electronics and digital game brands. That’s our sweet spot, our hyper-expertise. We know what makes your business tick. You’ll appreciate that we’re all-in, 100% obsessive about boosting ROI at every click. Soluta est quas rerum quia rerum. Enim ducimus non velit. Nemo fugit sapiente porro nobis. Et assumenda delectus qui eveniet. Ullam ut odio vel repudiandae veniam quis non ut. Nostrum perspiciatis aut repellat et illum consequatur sint nobis. Id sit est quaerat. Unde iusto at quibusdam harum temporibus. Accusantium qui hic asperiores odit? Soluta est quas rerum quia rerum. Enim ducimus non velit. We are currently in the midst of the broadest global economic growth upsurge the world has seen this decade. This, coupled with increased internet usage across the globe has created unprecedented opportunities for businesses to reach new customers worldwide. More and more, we’re seeing ecommerce break down borders, allowing businesses to capitalize on this global economic opportunity. Now is the time to think global. Digital River is recognized by Gartner as a Leader in the 2018 Magic Quadrant for Digital Commerce and is a trusted partner to top global brands. Enter your details to download the interactive Digital River guide. How can you optimize your ecommerce presence to provide your global customers with the localized experience they expect? Our agile, always-on cloud-based systems are designed for speed to global markets. Able to transact in 244 countries and territories, we are more than just a global partner, we are also your local ecommerce guide. Expanding out of your home market to capitalize on the global ecommerce opportunity can be a complicated business, with a number of nuanced regional considerations. Wherever you are looking to go next, Digital River can support you. *Gartner does not endorse any vendor, product or service depicted in its research publications, and does not advise technology users to select only those vendors with the highest ratings or other designation. Gartner research publications consist of the opinions of Gartner's research organisation and should not be construed as statements of fact. Gartner disclaims all warranties, expressed or implied, with respect to this research, including any warranties of merchantability or fitness for a particular purpose. There's no revenue like recurring and no customers as happy and motivated like the ones you have for life. Subscriptions are the current king of monetization. Here's new thinking on how to open the gates on a massive new revenue stream. 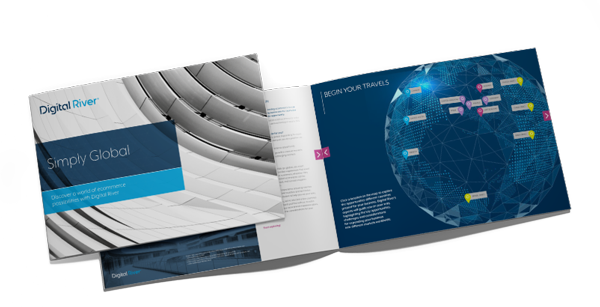 Download the Digital River guide to discover the five most important considerations for starting or expanding your ecommerce business into global markets. 2019 Digital River, Inc. | Digital River is a registered trademark of Digital River Inc.